Search Results for "green screen selfie"
Up close view of woman relaxing on roof top typing on laptop. Gorgeous blonde young woman applying mascara looking at smartphone mirror on a Green Screen, Chroma Key. Up close veiw of woman running fingers through hair while looking at tablet. Up close over the shoulder view of woman swiping tablet with black screen. Woman on roof top using smartphone to make call. 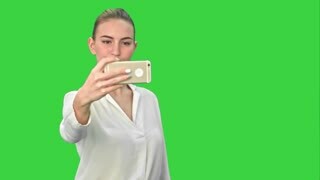 blonde young business woman is taking selfies on the green screen standing front and demonstrating different versions of emotion . A selfie being takenby a man while riding a bicycle over a green screen. A happy couple is taking some selfies over a green screen. 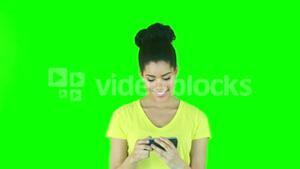 Young brunette taking selfie photo on smartphone smiling joyful and walking on a Green Screen, Chroma Key. Young man taking selfie with woman on green screen and kiss. White male and female, chroma key. 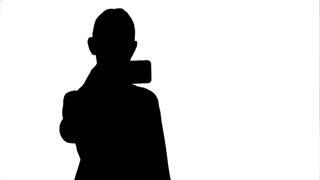 Young man taking selfie with woman on green screen. White male and female, chroma key. A young girl in a black bathing suit records vertical video for social networks in public aqua park. 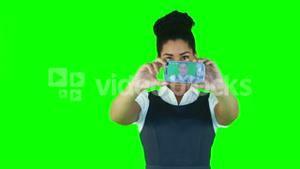 Smiling attractive woman taking a selfie while walking on a Green Screen, Chroma Key. 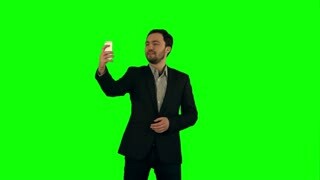 Stylish european doctor brunette taking selfie on phone while walking on a Green Screen, Chroma Key.